Dozens of selfless magicians offered their time and expertise freely and, often, with impossibly short deadlines. Here are a number of the advisors who made this project possible. Jerry Andrus is many things – poet, philosopher, inventor, humanist, agnostic, magician; all these things and more. A quiet and gentle man, at 88 years old he lives next door to his brother, George, in the same home they grew up in as boys in Albany. Jerry has traveled the world as a teacher, lecturer and performer. However he first traveled to Europe as a solder in the US Army during WWII. Jerry loathes war but understands it is a “necessary evil”. Jerry is mostly recognized as a magician and is highly respected among the enclaves of famous magicians for his unique sleight-of-hand skill. 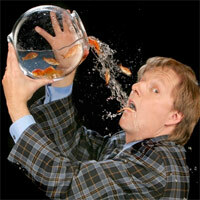 Whereas most magicians learn the trade from other magicians, Jerry has developed all of his illusions himself. The author of several books and videos on card control and other close-up magic tricks, his council is often sought by magicians whose names many of us would be familiar. But Jerry is also well known for his remarkable eye for optical illusions and he is creating new ones constantly in his shop and his home that he calls the “Castle of Chaos”. Some of these stunning and remarkable illusions have traveled with him to conferences and seminars all over the world. 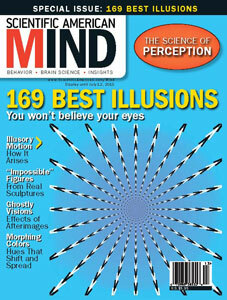 A renowned Skeptic, his optical illusions demonstrate how the mind can be fooled by the images implanted on our retinas. “Your mind is constantly on automatic pilot,” he explains. “If it weren’t, we couldn’t function, we would have to question everything we see.” To illustrate the concept, he asks “How do you know that someone hasn’t sawed your car in half and hauled away the side you can’t see? It’s because you already know what a car or a dog or a horse looks like, you don’t need to question it every time you see it”. Or do you? What about that strange light in the sky ? is it a small object very close by or something huge hundreds of miles away? Is it a light, a planet, a UFO? Jerry is on constant lookout for how the mind can be fooled. He sees the illusions in everyday objects, sometimes altering them himself with cardboard, wire and paint to show us how easily our minds can be fooled. And not just by things we see, but things we read and hear. Jerry looks for the things that don’t make sense in both our physical but our spiritual world as well. Jerry has read the Bible from cover to cover; his copy bristles with bookmarks and notations. How can it be that a loving and merciful God could condone putting women and children to death? How could it be possible for there to be a Heaven, or even Hell for that matter. Where is the justice in a vengeful God who would commit a soul to suffer for eternity? Jerry thinks about these things all the time. Jerry is always thinking and recording his thoughts and ideas. He has compiled reams of documents over his 88 years – “Scribulations”, as he calls them, free verse and aphorisms, songs and poetry. He even coins his own words, literally thousands of them. These ideas flow from a mind constantly circulating in a sea of creativity and wonder. Jerry says that sometimes his friends chide him because of how often he uses the word “wonder”. But Jerry is awe-struck by the gift of life and by the beauty and substance of the known universe. Every day is a new adventure for Jerry Andrus. Every day is an opportunity to discover, or create, new things. Magic Tony has been entertaining audiences in the United States and Europe for nearly 20 years and is known for his unique blend of theatre, psychology, and magic. His shows are packed with mysterious illusions, comedy, and audience participation, and will make any event a memorable one, from wedding receptions to corporate events to church banquets. His routine, “The Bus Stop” has won four National Competitions, including a first place award at the 1997 Houdini Club Convention at which he also won the close-up competition (a feat only accomplished once before him in the 59-year history of the convention!). In 1999, he placed third among magicians from around the world at the competition sponsored by the International Brotherhood of Magicians held in Little Rock, Arkansas. He has also been featured in publications such as National Geographic World magazine, M-U-M Magazine (the official journal of the Society of American Magicians), and The Linking Ring (the journal of the International Brotherhood of Magicians). An expert in the psychology of illusion, Tony has lectured on the topic at magic conventions and to students of psychology at colleges and universities. As a graduate student in cognitive psychology, himself, he has employed psychological principles to elevate his magic’s impact and increase the audience’s sense of wonder. Nowhere is this influence more evident than in his strolling magic where, in a one-on-one environment, he is able to strongly influence the behavior of audience members. Misdirected by her charm and beauty, audiences often underestimate the abilities of this petite charlatan. She is Ava Do, master con-artist and mentalist extraordinaire. Born in Vietnam November 16, 1979, and raised in Southern California, Ava was surrounded by grifters of a third-world country and an immigrant community at a young age. She started her life on stage as a performance artist when she was 16. Ava is a delightful and stunning performer, using her multi-cultural background to her advantage. After receiving a degree in Psychology from UCLA, Ava immersed herself in learning mentalism, a branch of magic she found to be closely related to her expertise in mind study. As a result, she now combines her education in psychology, knowledge of mentalism, and understanding of con-artistry to turn deception into entertainment. Not your girl-next-door swindler, Ava “honestly” informs the audience of her hustling habits while bewildering them with her witty repartee, psychological swindles and sleight-of-hand demonstrations. While initially guests are drawn to the novelty of seeing a female magician, they soon realize she has the expertise of a gypsy. As she mingles through the crowd, she begins telling them personal information about themselves… birthdays, maiden names and credit card numbers. She steals their heart and their identity. This style of entertainment is versatile and highly interactive, allowing for performances in a large range of environments. 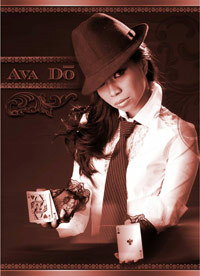 Ava has been performing nationwide as a variety act, where she charms the audience with demonstrations of interactive con-games, mischievous thievery, and intriguing mentalism. Her audience are sent home with a classic con: a souvenir of 3-card Monte where they are taught to find the lady – the Queen of Diamonds that will remind them of this unique entertainer for years to come. Paul Draper has appeared with David Copperfield, Lance Burton, and Teller as an expert on the History Channel. He has performed for HBO Comedy Fest at Caesar’s Palace, on Criss Angel’s Mindfreak on A&E, and on documentaries accompanying Steven Spielberg’s Poltergeist. In addition to his corporate shows and lectures, Paul Draper is frequently called upon as an expert in fields ranging from magical history to human consciousness. As an anthropologist and member of the Society for the Anthropology of Consciousness, Paul Draper pursues studies with Native American ghost dancers, South American cannibals, and spiritualists. Lawrence Hass, Ph.D., is a philosophy professor and a magician. This distinctive combination has given rise to a series of activities and programs that celebrates the magical arts and brings them to a wider audience. Currently serving as Professor of Humanities at Austin College (in Sherman, Texas) and Associate Dean of the McBride Magic & Mystery School in Las Vegas, Larry is an award-winning teacher of phenomenology, aesthetics, magic performance, and magic theory. He is also the founder of the Theory and Art of Magic program—an ongoing series of educational events and conferences dedicating to promoting and celebrating the magical arts. Larry is also an accomplished performer. He has performed his thought-provoking style of magic from coast to coast at such diverse venues as the Wynn Casino, Princeton University, Magic Chicago, and the University of Pennsylvania. He has performed many times at nightclubs, corpoate events, and private parties in Las Vegas, and at the world famous Magic Castle in Hollywood. 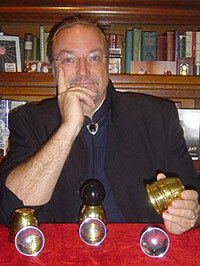 Larry is also an award-winning writer, editor, and publisher of magic books and essays for magicians. He is the author of Transformations: Creating Magic Out of Tricks, and the editor and co-author of Gift Magic: Performances that Leave People with a Souvenir. 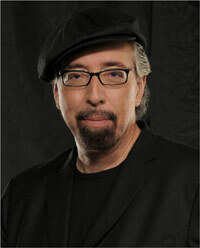 His essays continue to be published in leading magic magazines and trade journals throughout the world. He is also the publisher of Theory and Art of Magic Press, which produces books and other materials designed to feed the head and hands of magicians everywhere. Twenty-eight-year-old Joshua Jay has been called magic’s Renaissance man by MAGIC Magazine. It’s not hard to see why: he is a performer, lecturer, author, and photographer of all things mysterious. He maintains a globetrotting performance schedule—Jay has performed in over fifty countries and appears regularly on national television (most recently on Good Morning America and the Today Show). His performance style is completely unique: he performs with ordinary, borrowed objects, causing them to twist, bend, appear, and vanish at will. At only seventeen years old Joshua Jay was crowned world champion for close-up magic at the World Magic Seminar, and he is now regarded as one of the leading creative forces in the magic world. In 2009 he penned a best-selling magic book, MAGIC: The Complete Course, and had his fine-art photography exhibited in several shows (appearing currently at the Culture Museum in Linz, Austria). How does he do it? His dad was right. Since that day Joshua Jay has made numerous television appearances in magic specials and on programs like Good Morning America, CNN, and the TODAY Show. He has been a headline performer and lecturer in over 50 countries and routinely performs for distinguished politicians and major celebrities. Jay is a headliner at the prestigious Magic Castle in Hollywood and is the author of two best-selling books on magic (his first is published in five languages and is now in its fourth US printing). In 1998, he was crowned champion at the World Magic Seminar. Most recently, he was named 2009 International Magician of the Year by Primio Magia, the Latin American Council of Magic. 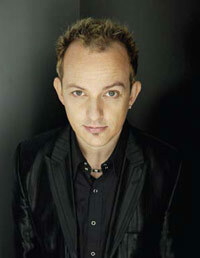 Joshua is a monthly columnist for MAGIC, the world’s largest circulated magazine for magicians. Joshua also acts as magic consultant for several multi-national toy manufacturers (most recently for Marvel Comics) and has helped design many of the magic sets on toy store shelves. David Kaye has performed magic and comedy for children for more than twenty years. Known to the public as Silly Billy, he has become one of the best known children’s entertainers in the U.S., performing for the families of celebrities like Madonna and Bruce Springsteen, plus appearances at the White House and Lincoln Center. In New York, where he performs more than 300 shows each year, he has been recognized as New York’s top children’s entertainer by five different New York publications. In addition, he received a six-page profile in the New Yorker. His television credits include appearances on Late Show with David Letterman, as well as multiple appearances on Comedy Central. He was also in the reality magic show Celebracadabra on Vh1. David has performed magic for children all over the world. He also travels around the world speaking at magician conferences. He has created many products for the professional children’s magician, which are available at his web site www.SillyBillyMagic.com. For eight years David wrote a monthly column for the leading magician’s trade journal, MAGIC magazine, about performing magic for children. David is one of only a handful of magicians who have appeared on the covers of the three leading magic journals. Hailed by many as the premiere comedy magician in the world today, Mac King just rocked the audience on “The Late Show with David Letterman,” was just named “Magician of the Year” by the Magic Castle in Hollywood, just broke a Guinness World Record, just appeared on his seventh TV special for NBC-TV, just got voted the sixth best show in all of Las Vegas, and is currently starring in the long-running The Mac King Comedy Magic Show at Harrah’s Casino and Hotel in Las Vegas, where he resides with his wife and their daughter. As an inventor and magical consultant, his services have been used by every other top magician in the world. As an after-dinner corporate entertainer, he has wowed companies around the world with his astounding sleight of hand and irresistible humor. He is the only magician to appear on all five episodes of “The World’s Greatest Magic TV” specials. Between his how-to books and magic sets, his nationally syndicated comic strip, “Mac King’s Magic in a Minute,” and his made-for-TV “Mac King School of Magic,” Mac has probably started more beginners on the road to magic as a hobby than anyone else ever. Orson Welles wrote that Max Maven has “the most original mind in magic.” Fortuitously, he died before he could revise that opinion. The New York Times observed that Max’s “category-defying mind-reading show veers into conceptual art.” People magazine hailed his work as “a new form of participatory theater.” The Los Angeles Times stated that his “improvisational skill is enhanced by a charismatic animal magnetism.” No, we don’t know exactly what that’s supposed to mean, but apparently audiences in over three dozen countries agree. His television credits include hosting eight specials in Japan (performing in Japanese); starring in series in Taiwan, Sweden, Norway, Finland, England and Canada; and guest-starring on such disparate shows as General Hospital, Fresh Prince of Bel-Air and Top Chef Masters. 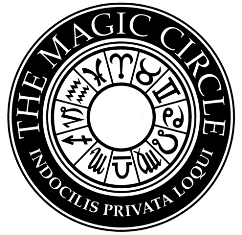 Behind the scenes, Max has been a consultant for most of the top names in contemporary magic, an advisor on over one hundred television shows, and recently completed two years as Director of Entertainment for the famous Magic Castle in Hollywood. He has published approximately two thousand articles, tricks and essays, and now he is very tired. A foremost innovator and among magic’s most exciting performers, Jeff McBride combines mask, martial arts, kabuki theatre, world class sleight of hand, myths & stories from around the world – and more – to create electrifying performances that thrill a wide range of audiences. Click the ‘play’ arrow below for a fast introduction! Jeff has recently completed a three month run of both his show Magic at the Edge, and his new magical club experience McBride’s Wonderground at the Palace Station casino in Las Vegas, where both events won rave reviews. A recent appearance on The World Magic Awards (“Best Classical Magician”), several featured spots on Masters of Illusion and McBride’s participation as a judge on VH-1’s Celebracadabra are just the latest in a string of television appearances covering every major network. His unique theatrical style of magic combines pantomime, martial arts, Kabuki theater and a dozen varied performing disciplines with world class sleight of hand to create magic that is not simply mystifying, but dramatic and deeply moving. Founder of the McBride Magic & Mystery School, McBride is an accomplished creative consultant, teacher and lecturer, in addition to his amazing capabilities as a performer. He continues to travel the world performing and teaching, building an extensive network of contacts in the magic, performing arts and academic worlds who share his enthusiasm for all things magical. Tom Meseroll has spent 40 years training his Body and Mind in the Martial and Magical arts. Tom Meseroll has a B.S. in Astrophysics from U.C.L.A. as well as an M.S. in Geophysics and Space Physics from U.C.L.A. While completing the required coursework for a Ph.D. Tom wrote his Master’s thesis “The Effect on the Orientation and Magnitude of the Interplanetary Magnetic Field on Field-Aligned Currents in the Inner-Magnetosphere” . After graduation Tom was the Senior Systems Engineer on the MILSTAR MDR Payload, the Program Manager for NASA’s Deep Space Network, the Director of Systems Engineering for Boeing Integrated Defense Systems, and is currently a Senior Consultant for the Airforce on Military Satellite Communications. He received a Patent Award from Hughes Space and Communications for theorizing a method for communicating with the past and the future using satellites with quantum entangled particle communication devices. He is an ordained Pastor and has performed weddings for both CIA agents and magicians. He is a marathon runner and a bibliophile. He has been a martial arts practitioner for 25 years and is an expert in Okinawan weaponry and skilled in the Samurai Sword martial art known as IADO. He is a black belt in Tang Soo Do, and a brown belt in Shotokan Karate. He is a recent winner of the Jeff McBride Master Class trophy for Best Innovation and Creativity in Magical Performance. 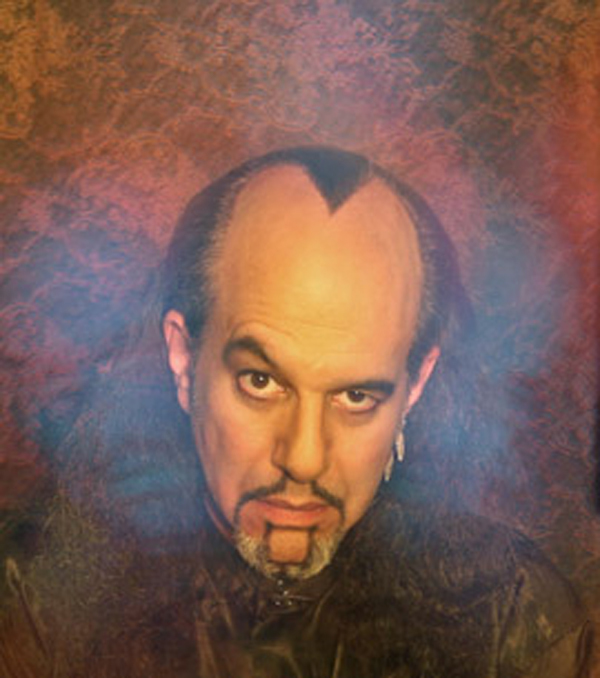 He is a member of the Society of American Magicians and is known in magic circles as “The Magus: Master of Martial Magic” (pronounced “Ma-gos”) and has been performing around the country for over thirty years in close-up venues as well as large stage shows for over 500. He is a practitioner of Zen, Yoga and Tai Chi. He has completed his first novel, which has received rave reviews from magicians and astrophysicists alike. The novel is about magic, martial arts, quantum physics, space and the real applications of “The Force” in the world today. It is currently selling out across the globe and is called Magus: Master of Martial Magic- Book, The Magician’s Primer. Ernest OSTROWSKY, born in Paris,was a gifted pupil in his mother’s contemporary dance school. He married the most talented girl in the school, Michelle PACAUD. As teenagers they worked together as dancers and choreographers and dedicated their life to contemporary ballet and to each other. Occasionally they performed puppets shows with friends. Step by step, from puppets to puppets with tricks, and from puppets with tricks to magic tricks, Michelle and Ernest went to know the magical Black Art technique. In 1958, this sort of magic was very rarely used and was nearly unknown in the show business. Their son Louis-Olivier was born in 1965. The economics of contemporary ballet being what it was, they decided to work entirely in black art. 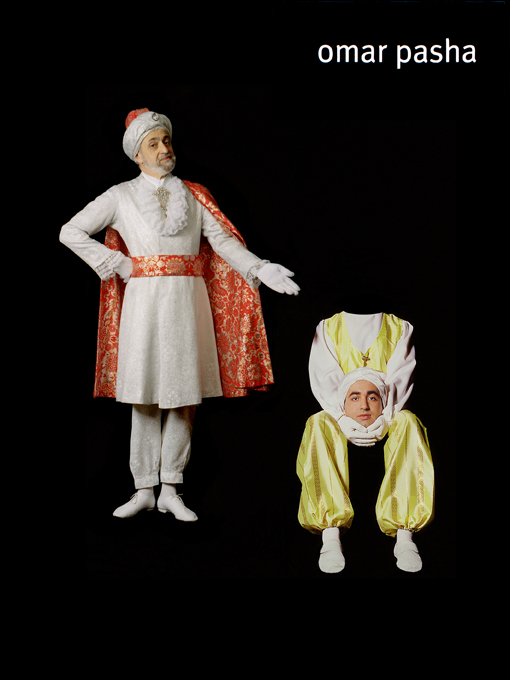 Michelle and Ernest OSTROWSKY developed their international black art acts under the names of “LES BALADINS” and “THE LIGHT FINGERS”, using a delightful mix of magic and humor. They acheived great success in Paris, Beirut, Glasgow, Oslo, Italy, Spain, Switzerland, Belgium, Monaco, … all over the world. They were booked for many international television shows, worked Cruise ships (inclusively the famous liner “France”), performed at Magic Conventions such as National Magic Congresses or the World FISM Convention in 1972. The began to present the “OMAR PASHA” act in 1976, bringing forward a much more classical style of magical Black Art. Directly borne from the original tradition of black art, ”OMAR PASHA” is nowadays considered the primary reference in magical black art. James Randi has an international reputation as a magician and escape artist — as The Amazing Randi — but today he is best known as the world’s most tireless investigator and demystifier of paranormal and pseudoscientific claims. Randi has pursued “psychic” spoonbenders, exposed the dirty tricks of professed faith healers, investigated homeopathic water “with a memory,” and generally been a thorn in the sides of those who try to pull the wool over the public’s eyes in the name of the supernatural. He has received numerous awards and recognitions, including a Fellowship from the John D. and Catherine T. MacArthur Foundation in 1986, and an honorary university degree. On October 19, 1993, the PBS-TV “NOVA” program broadcast a one-hour special – “Secrets of the Psychics” – dealing with Randi’s life work, particularly with his investigations of Uri Geller and various occult and healing claims being made by scientists in Russia and around the world. He is the author of nine books, including The Truth About Uri Geller, The Faith Healers, Flim-Flam!, and An Encyclopedia of Claims, Frauds, and Hoaxes of the Occult and Supernatural. His lectures and television appearances have delighted — and vexed — audiences around the world. 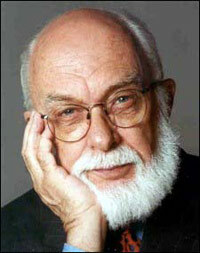 In 1996, the James Randi Education Foundation was established to further Randi’s work. His long-standing challenge to psychics now stands as a $1,000,000 prize administered by the Foundation. It remains unclaimed, though hundreds all over the globe have applied and have been tested. Apollo Robbins is a unique combination of performer, speaker and consultant. He first made national news as the man who pick-pocketed the Secret Service while entertaining the former President. 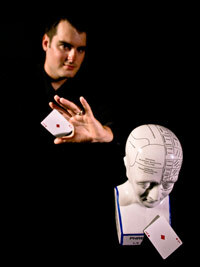 Apollo’s performances utilize pick-pocketing and sleight-of-hand to demonstrate proximity manipulation, diversion techniques and attention control. This unique set of skills has led to several national television appearances as well as both corporate and academic speaking engagements. Apollo’s live show is a dynamic blend of Pick-pocketing, Sleight-of-hand and Con Games. Known as “The Gentleman Thief” he handles his participants in a non-intrusive way, without embarrassing them, often giving his audience a behind-the-scenes view. Apollo’s trademark is his unique ability to tell his “target” that he is about to steal from them, before he does it, right under their nose. In addition to relieving the Secret Service of their watches, wallets, & confidential itinerary, Apollo was hired by the Phoenix Suns to steal Charles Barkley’s personal items. The producers of “Alias” had Apollo “borrow” Jennifer Garner’s engagement ring (given to her by Ben Affleck). Apollo switched Troy Aikman’s and Jerome Bettis’ drivers licenses. Tiffany & Co. had Apollo load their new private collection on their top VIP’s. Jay Sankey is a true magician’s magician and is widely considered to be one of the most original thinkers and finest magic teachers alive today. He is also one of the most prolific magic creators on the planet. While many of his especially creative contemporaries have a few dozen original routines to their credit, at last count Jay has created well over 700 original magic effects. Jay’s uncanny gift as magic inventor was evident from an early age. For his 11th birthday he was given a toy magic set and by the age of 18 he was traveling the world lecturing on the subject of sleight-of-hand magic to both professional and amateur magicians. Somehow, Jay still made the time to graduate from the University of Toronto where he studied psychology, philosophy and film. As a performer, Jay has mystified audiences at private parties, trade shows, banquets and corporate functions including work for Coca-Cola, Honda, Chrysler, Panasonic, McDonald’s and Club Med. Jay has also worked as a consultant for many of the world’s most famous magicians including Criss Angel, Keith Barry and David Copperfield. David Blaine has also performed Jay’s original magic routines. In conjunction with the Ottawa-based production company GAPC, Jay and his company Sankey Magic created the magic-based children’s television series “Spellz.” Jay also hosted the show for two seasons. As a stand-up comic, Jay headlined comedy clubs for years and performed at the numerous festivals including two appearances at the prestigious “Just for Laughs” comedy festival in Montreal. And as a monologist Jay has mounted several live one-man shows including “Contents Under Pressure” (1996) and “Borrowed Breath” (1998). “Contents Under Pressure” was later produced for television by Sleeping Giant Productions and starring Jay it aired on BRAVO! Jay’s experiences as both a professional comic and a monologist inspired him to write Zen and the Art of the Monologue as well as a book that is considered to be one of the modern bibles of stand-up comedy, Zen and the Art of Stand-Up Comedy. Both books are published by Routledge in New York. Jay lives in Toronto with his wife Lisa, and his two children Mason and Madelaine. An acclaimed master of the challenging art of sleight of hand, Jamy Ian Swiss has performed magic throughout the United States for presenters ranging from Fortune 500 companies to the Smithsonian Institution. 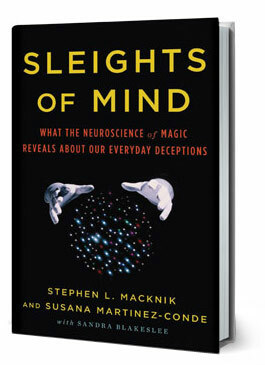 His show of pure sleight-of-hand magic, “Close-up in Concert,” ran successfully for six months at the famed Rainbow Room in New York City; his theater show, “The Honest Liar,” was part of the 2000 New York International Fringe Festival; and he has brought his show “Heavy Mental,” a program of mind-reading and “mentalism,” to cities from New York to Chicago, Austin to San Francisco. 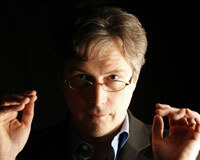 And he is a co-producer of New York’s longest-running Off-Broadway magic show, Monday Night Magic, created in 1997. As a motivational speaker, Swiss has spoken about creativity, risk management, design, user experience and other subjects of corporate concern to firms as diverse as Publicis (advertising agency network), Schlumberger (oil and gas technology), Adobe (design software), Intuit (consumer software), Electronic Arts (electronic gaming), and Shufflemaster (gaming industry). Swiss has made television appearances in the United States, Europe and Japan, including U.S. appearances on The Late, Late Show with Craig Ferguson, CBS 48 Hours, PBS Nova, and repeat appearances on The Today Show. Behind the cameras, Swiss has produced and written for television including Penn & Teller’s Sin City Spectacular (writer/producer); The Virtual Magician, which aired in 47 countries (head writer/co-director); and the Discovery Channel special, Cracking the Con Games (creator/producer). 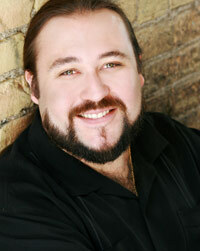 He also serves a consultant and magic designer for feature films and television. 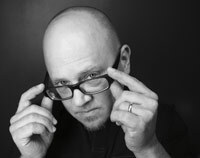 Swiss is the author of several books including The Art of Magic (the companion to the PBS documentary); a collection of essays entitled Shattering Illusions; he collaborated with Edward Tufte on a chapter in the book Visual Explanations; contributed to Magic For Dummies; and consulted on How To Play With Your Food by Penn & Teller. An expert in all manner of deception, Swiss has lectured to magicians in 13 countries; to scientists and academics on “The Illusion of Psychic Powers”; to prosecutors and police agencies about con games and street scams; and to casino industry executives about cheating at card games. When wife and partner Pamela Hayes, actress and comedienne, joined the act, the billing became ‘The Great Tomsoni and Company.’ The Great Tomsoni and Company have been the recipients of many awards; Stage Magician of the Year, Society of American Magician’s ‘Superstar of Magic’ award; Academy of Magical Arts’ highest award; the ‘Performing Fellowship’; Prince Rainer’s ‘Prix S.B.M.’; Magiques de Monte Carlo, Europe’s most prestigious magic award. John has recently been working as a consultant to his protege Lance Burton and to Penn & Teller and has just finished an I-Max movie with Sigfried and Roy. Last year he did the ‘Oakridge Boys Live in Las Vegas,’ the World’s Greatest Magic and the PBS Special, ‘The Art of Magic.’ John has also received the most prestigious Masters Fellowship award from the Academy of Magical Arts.